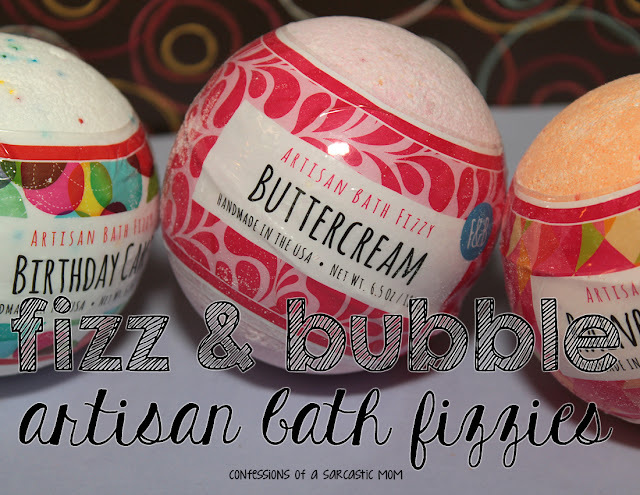 I've never been one for bath bombs or bath fizzies, but I decided to give these Artisan Bath Fizzies from Fizz & Bubble a try. I might be spoiled with my bubblebath lasting so long, but I really wasn't all that impressed. I chose 3 scents that I thought I'd like - and I did! Opening from package from Ulta was heaven, I tell ya. The scents even mixed together smelled good! 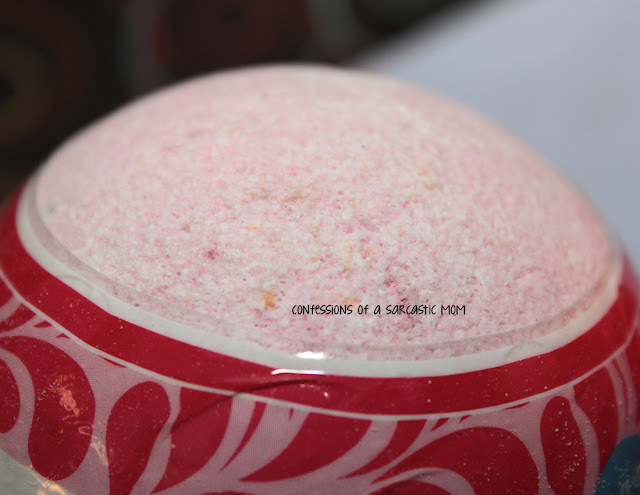 The scents I chose are Birthday Cake, Buttercream and Rainbow Sherbert (that's the order they are pictured below). I would've been happy to just place these around my house and enjoy the scent :) haha! I decided to try out the Birthday Cake one - and here's the action shot! 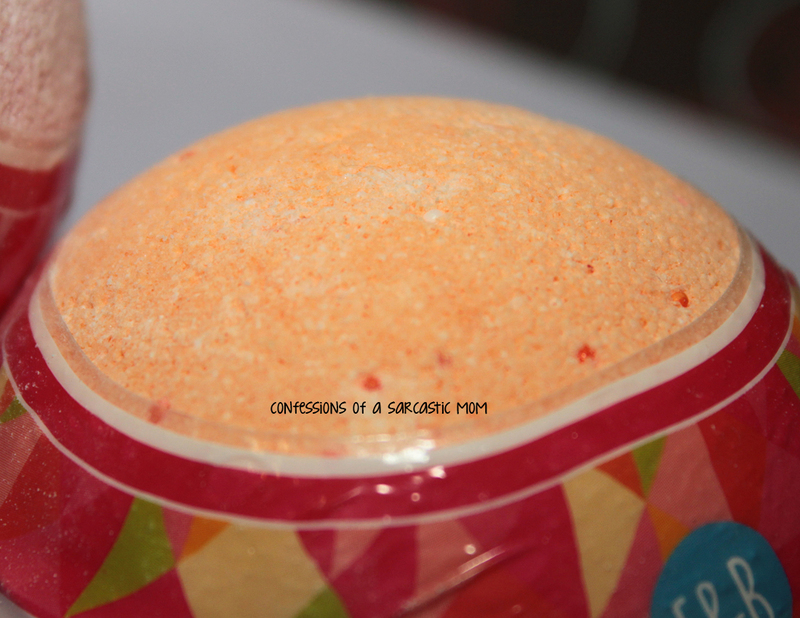 I turned on the water and let it warm up a tad before I dropped the bath fizzy in. 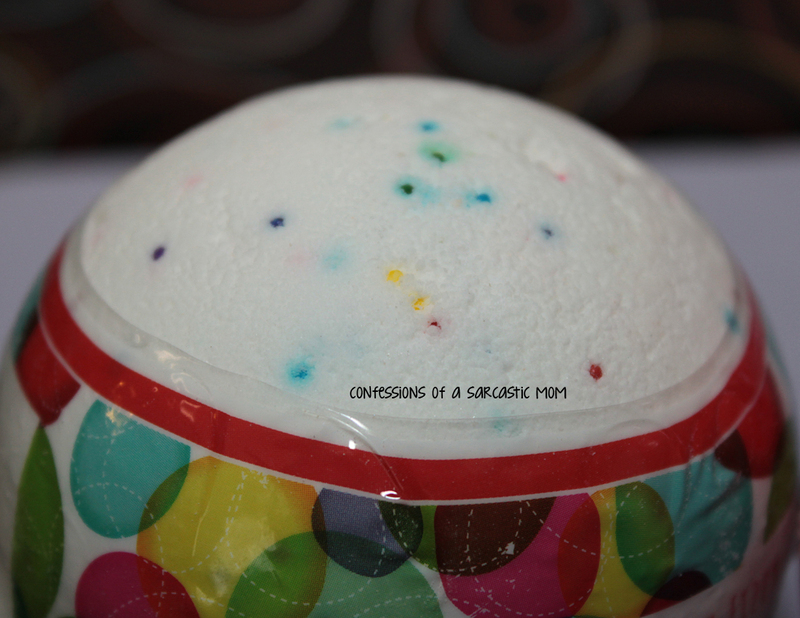 It broke down into a swirly mass of sprinkles and a white cloud of fizz. It was really pretty! But it didn't last long. Within 5 minutes the sprinkles had disappeared and the cloudiness was gone. Is that normal? I didn't notice anything else special left behind. I ended up getting out and dropping some bubblebath in my water and swirling it around until I had bubbles for the rest of my bath.,. Have you tried this brand? 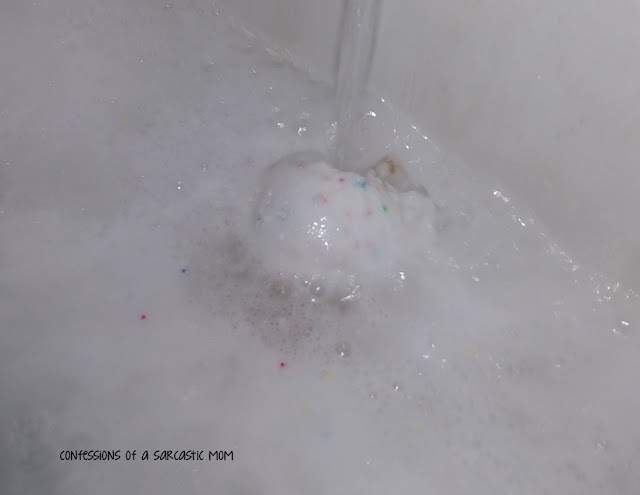 I did have a LUSH bath bomb once, and I don't remember it disappearing so quickly - I seem to recall it lasted my entire bath. *shrug* Maybe I just got a dud? I have seem this brand sold at Goody's, but I purchased them from Ulta. There's a variety of scents to choose from!